Hello! With all this rain happening here in Sunny Southern California, I'm wishing for a bountiful spring full of flowers! Till then, I'll settle on Simple Goodness fabric by Tasha Noel for Riley Blake Designs. 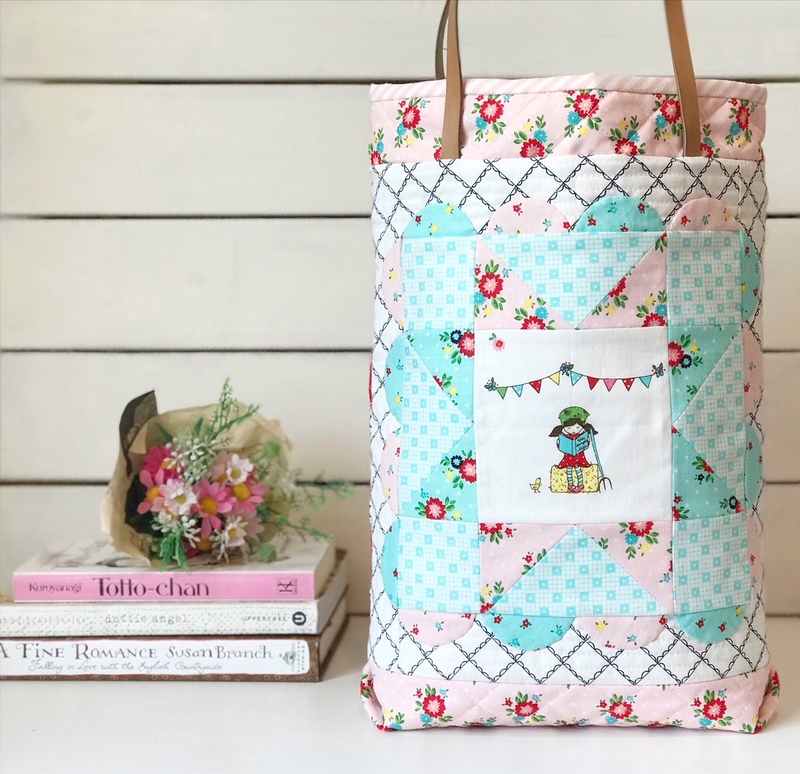 Tasha runs the blog A Little Sweetness , and Simple Goodness is another series from her collections of pretty fabrics. 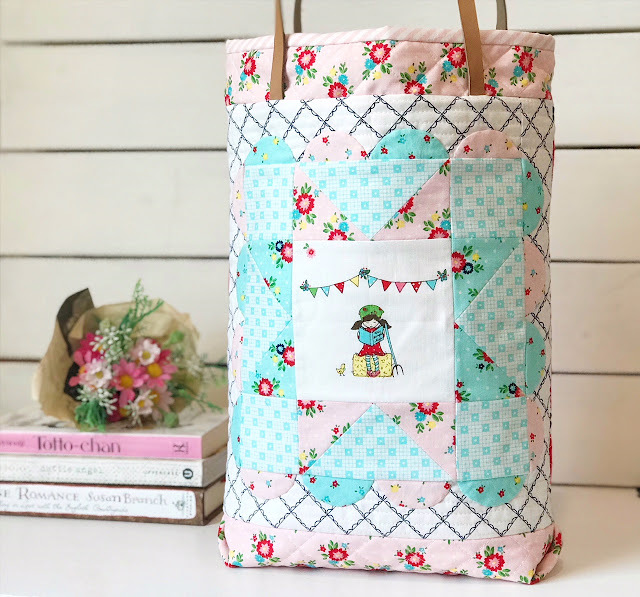 Simple Goodness has the sweetest florals, cute illustrations, quilty blocks, and oh so much cuteness! I decided to make an eight pointed star block, which is a print in Simple Goodness fabric! 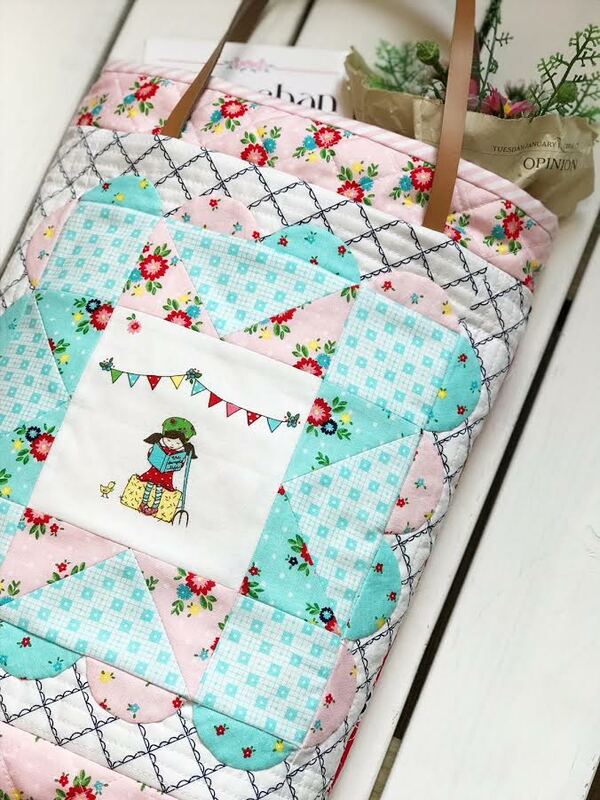 To make it even cuter, I hand appliqued the sweet scalloped border around the block. 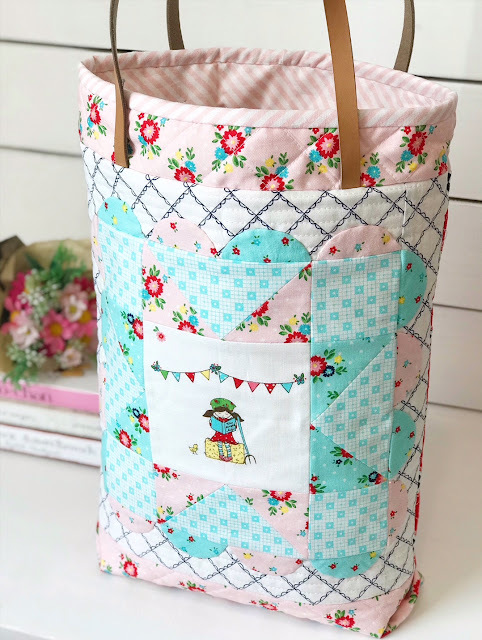 I then took this block and turned into a Readers Tote Bag (or dolly bag, Rosalie already stole it from me and stuffed her dollies in it). I added pleather handles to soften it up. 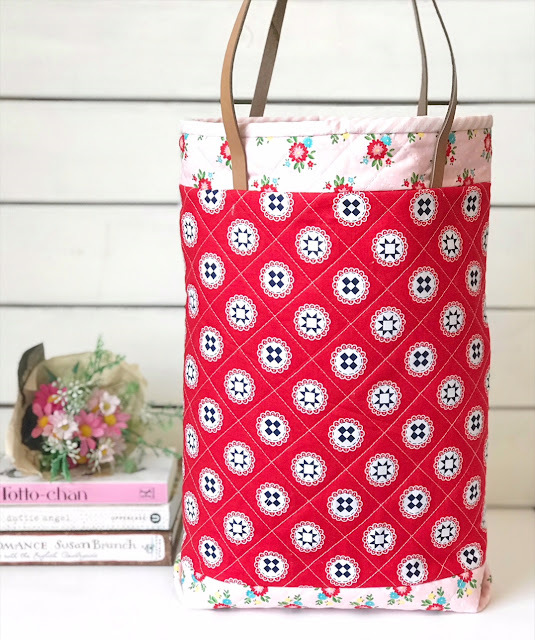 I hope you enjoyed my Reader Tote! Simple Goodness is out now, so check your local fabric shops or online! Hello! Finally, the end of the week and I can finally share what I made with Meow and Forever by My Mind's Eye for Riley Blake Designs! 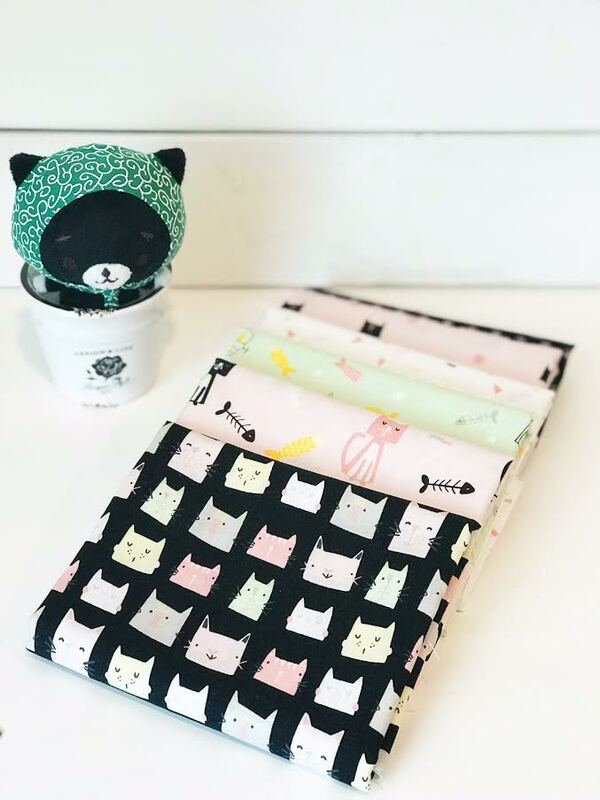 My Mind's Eye is a fabulous paper goods company that has the cutest stationary and print which has been carried into fabric! Meow and Forever has the cutest cat themed prints. From paw prints to whiskers, and fish bones and sardines, this line is fun, pretty, and cute! 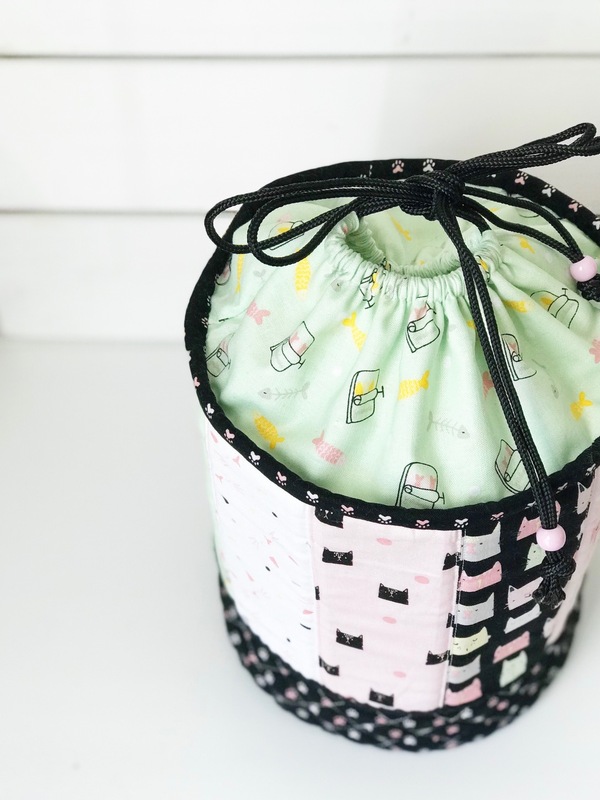 I decided to make a cute Project Holder Drawstring Bag. I used a nice thick bag stabilizer by Pellon so it can hold your current projects and tools too! 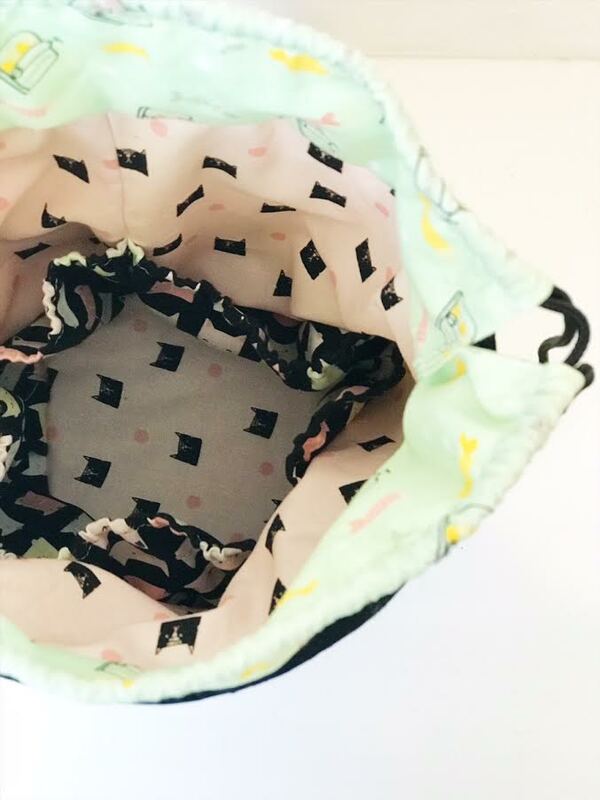 The inside of the bag has continuous pockets to hold tools and such and a drawstring closure to keep it all together! The sardine print in mint green was definitely my favorite print! I love sardines! Inside of the bag - multiple elastic pockets for tools and such. 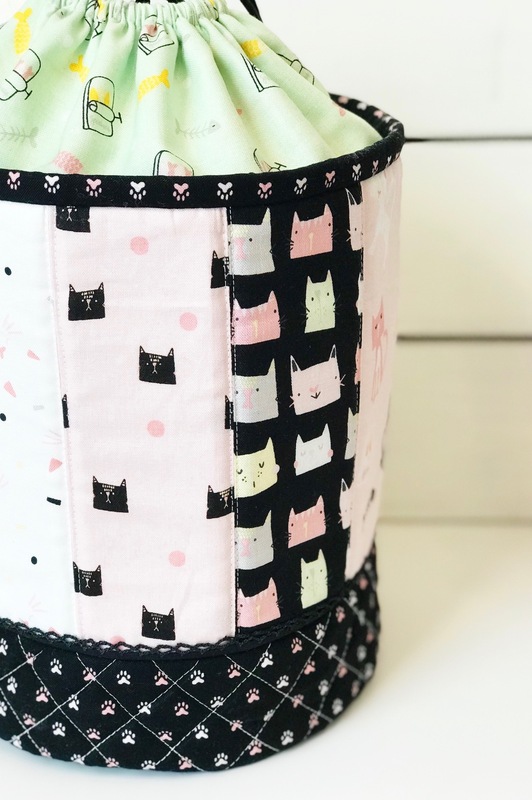 Meow and Forever is out now so check your local quilt shop or online fabric shop to see if they have it! On another note, I don't have a pattern for this cute bag yet. Many of you have been asking for my patterns, and that is something I'm currently working on. Check back soon or my Instagram for any updates! Thank you friends for following along!